On December 10th, 2011, UFC 140 will take place at the Air Canada Center in Toronto, Ontario. The main event will feature Lyoto “The Dragon” Machida taking on Jon “Bones” Jones. Machida, a Brazilian MMA fighter will take on American MMA fighter Jon Jones in what is expected to be an epic bout for the Light Heavyweight Championchip. It will be an amazing display of Brazilian and American styles of fighting resulting in a slugfest – exactly what UFC fans are hungry for and now they’re going to get the opportunity to witness an epic battle. Both fighters are in their prime and eager to catapult their careers in the UFC. Machida is 33 years old and Jones, just 24. This will be Jones’ fourth fight this year. 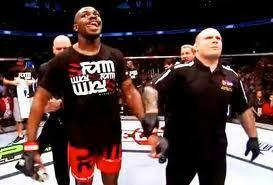 One of those, back in September, he beat “Rampage” Jackson with a rear naked choke. He was scheduled to fight Rashad Evans but due to a hand injury, Evans couldn’t take the match so in stepped Machida. 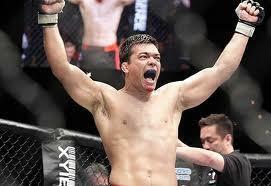 Machida has only fought once in 2011 where he knocked out UFC Legend Randy Couture with a front kick to the face. The UFC is returning to Toronto for the second time in less than 8 months. The debut event was UFC 129 this past April and set a North American record for the largest MMA attendance with 55,724 people, grossing over $12 million (USD). Dana White, president of the UFC, calls Canada “the Mecca of MMA” and “is without a doubt the strongest market on the planet”. Plans are already in place for another event to be held in Montreal sometime in the first quarter of 2012.